Taking a page from the charter school lobby’s playbook, profiteers and ideologues are trying to dismantle America’s best health care system, the Department of Veterans Affairs. Veterans’ health care is “horrible, horrible, and unfair” according to Donald Trump. But how true is that? Pretty untrue, judging by the numerous studies the US Department of Veterans Affairs’ (VA) health care system performs better than private systems in quality, safety, and effectiveness of treatment. The VA runs the largest health care system in the US, and the only one that’s publicly funded from top to bottom, with not only its own insurance program but its own doctors and hospitals as well. And despite having an older, poorer, and sicker clientele than the general population, the VA is both the most cost-effective health system in the country and boasts the nation’s highest rates of patient satisfaction. Its continuing success is a stinging rebuke to the neoliberal axiom that private corporations and capitalist markets can deliver everything society needs, better and more efficiently than tax-funded social programs can. It comes as no surprise, then, that free market crusaders like the Koch brothers have set out to convince the public that the VA is actually a disaster. They and other billionaires and hard right-wingers want the Trump administration to do to veteran health care what previous administrations have done to public housing and education: bring it to its knees, then denounce it as a failure, then privatize it. The script is familiar. First, wage a dishonest propaganda campaign against a functioning public program. Then starve the public program of funds through “fiscally responsible” austerity measures. Point to failures caused by underfunding as evidence of the program’s irredeemable flaws. Elevate private alternatives as a panacea for the problems caused by deliberate budget cuts, then repeat until the public program has been eroded and largely replaced by a patchwork of nonpublic entities that treat the original public good like a commodity. Even the rhetorical tricks are well-worn: just as the “school choice” movement has done in promoting the charterization of public education, and just as HUD’s “housing choice” vouchers have done in order to shunt poor people into the private rental market rather than build public housing, the term “veteran choice” has been thrown around to describe siphoning patients out of the VA and into the private sector. Jacobin spoke with Gordon about the assault on the VA system. She’s the author of several books on veterans’ health care; her latest is The Battle for Veterans’ Healthcare: Dispatches from the Frontlines of Policy Making and Patient Care. How does the VA differ from other health care systems in America? Perhaps the important distinction is the level of integration in the VA. The VA is the only fully integrated health care system in America. That means that not only can a veteran go from Philadelphia to Stockton, California, and their health records will follow them seamlessly, but also their care is integrated within each facility. In VA facilities from Boston to San Francisco you have primary care doctors, mental health specialists, dieticians, social workers, oncologists, palliative care physicians, and pharmacists all in one facility. This allows the VA to deliver care in a way that isn’t episodic, it’s all connected. Most private sector health care works like this: you go to your pulmonologist, and you go to your endocrinologist, and the two of them don’t talk to each other, and they may never even exchange your records. They just send you from referral to referral, and you run around like that. Because of the lack of communication, you’re not getting the best care you possibly can, and sometimes you’ll need a specialist who’s out of network, so you’ve hit a dead end. Plus, with the private-sector referral system, there’s a huge non-follow up problem. Making appointments is confusing and difficult, and people just don’t do it, which worsens their care quality. By contrast at the VA, here’s a typical story. I was watching one veteran in primary care, and he presented signs of a mental health problem. He was taken by the primary care doctor to the psychiatric nurse practitioner down the hall, introduced to them in what’s called a “warm hand off,” and then was seen by that person in that clinic. It turned out he also needed an orthopedic appointment, so the psychiatric nurse practitioner walked him down to the ortho floor to get him that appointment too. In the VA, they’ll take you down to the pharmacists to talk for forty-five minutes about your meds and how they impact your lifestyle and vice versa. And that’s unheard-of in the private sector. You can’t get this kind of care in the private sector no matter how good your insurance is, because of the design. When Steve Jobs was dying of pancreatic cancer, he had all these specialists who didn’t talk to each other, and his wife had to collect them at his bedside to get them to coordinate care. This is a multi-billionaire, and he couldn’t get the kind of integrated health care you get through the VA. When it works best, the VA is like concierge care for poor people. Does this integrated model allow the VA to excel at any particular type of care? I’ve heard it offers pioneering mental health care and addiction treatment. The VA excels at a lot of things, including basic primary and preventative care. Most primary care doctors in the private sector have the ten-minute visit, because they have patient panels of between 2,100 and 3,400 patients. In the VA, primary care doctors have between 1,100 and 1,300 patients, so the routine visit is thirty minutes. On top of that, VA doctors are trained to recognize signs of mental health and substance abuse problems, and since they don’t have to work on a referral system, the likelihood of getting the patient into treatment is much higher. So, that partly explains why the VA has such good mental health care. The VA excels in treatment for all kinds of trauma, including sexual trauma and PTSD. But it’s more big-picture than that. The VA also has great geriatric care, women’s health programs, physical therapy programs, and palliative care and hospice. The VA has blind rehab centers, spinal cord injury centers, a whole network of centers that serves the entire population of veterans. And they have homeless outreach programs, and training programs to teach police officers how to deal with mental health crises, which disproportionately impact veterans. And they experiment with new models like team-based primary care, where providers share responsibility for a patient. The integrated system really allows the VA to go above and beyond. In the VA system, everything is connected. So, for example, suicide prevention is umbilically tied to primary care, to behavioral health, and in the case of many vets to audiology. The number one thing that brings vets to the VA is tinnitus or hearing loss, because there’s almost no branch of the military where you aren’t assaulted by noise. So, you could go to an audiologist as a veteran, which many first-timers do, and you may say something that the doctor recognizes as a sign of suicidality, and intervention would be possible immediately. Given that we have a notoriously thin welfare state in the US, how did the VA become so robust? For most of our history, since the American Revolution, we treated veterans very poorly. Then after World War I, and particularly after World War II, we started building more hospitals for veterans and connecting with academic medical centers. But the VA as we know it is actually a slightly later creation than many big public programs. The VA delivered mostly inpatient care until the 1990s when Bill Clinton’s Undersecretary for Health Kenneth Kizer developed this system of outpatient care and patient safety. He and his team really transformed the VA to what we have today. Bill Clinton supported it — but tellingly, the Clintons’ health care plan from the very beginning hinted at a desire for increased privatization and competition. The VA flourished entirely as a result of Kizer and his team. By the early 2000s, you had Businessweek and Forbes hailing the VA as a model of care for the rest of the country. George W. Bush didn’t like that, of course, because it counters the narrative of “the market is best for everything,” so his administration started clamping down on the good news. That continued under Obama, who failed to vigorously defend the VA.
Of course, the Obama administration was in favor of charter schools and pioneered the Affordable Care Act, both of which uphold this faith in the market and accept a certain degree of privatization. The Obama administration never denounced the VA, but they were tight-lipped about its successes. They didn’t champion it in the media or before Congress. They allowed its name to be dragged through the mud by people like the Koch brothers, who founded the group Concerned Veterans for America specifically to spread the story that the VA is a failure, which is a story you see more of all the time. For people interested in spreading the story that the VA is a train wreck, there was a scandal in 2014 that they could point to, right? In 2014 there was a crisis, which opponents of the VA used as an opportunity to tarnish the image of the program. The VA central office had imposed an unworkable performance metric on VA providers, demanding that they see patients within fourteen days of calling for an appointment. They offered bonuses to people who met this unrealistic metric, and eventually some VA administrators were caught gaming the system and claiming they met the metric when they didn’t. A whistleblower in Phoenix blew this up, and allegations emerged that forty patients had died because they were waiting so long for care. It’s important to note that when this scandal happened, the VA was chronically understaffed, which is partially why the metric was so unworkable. There were 34,000 employee vacancies in 2014. In February of that year, Bernie Sanders tried to get funding to staff the VA appropriately and found that it would cost $21 billion, which Congress refused to allocate. Only later that year did it agree to allocate part of those funds, and most of the money ended up being earmarked for outsourced care, not staffing the VA to capacity. Later, the VA inspector general later found that only six patients had died, and it was unclear whether they died while or because they were waiting for care, an important distinction. But the Right latched onto the original figure and the media ran with it. The media also neglected to compare the number to the private sector, in which case the story loses its impact. Hundreds of thousands of people die of treatable illnesses in the US every year who would get care if they were in a system like the VA. And tens of thousands more die every year due to preventable medical errors in private-sector hospitals, which prioritize profit over patient safety. But in discussing the VA’s failures, the media fails to make that comparison. In fact, the double standard is just incredible. A few years ago, a Tea Party politician pointed out that the VA was spending taxpayer money on art in hospitals. Mainstream media outlets ran outraged stories, neglecting to mention that the VA art budget is a miniscule fraction of the total budget, and that art has proven uses in healing. And then the Wall Street Journal turns around and runs a front-page story praising the Cleveland Clinic for the art it uses in hospitals. Can you tell me about the suppression of David Shulkin’s book? When he was Undersecretary of Health under Obama, Shulkin edited a book called Best Care Everywhere. It’s 400 pages long and has over 150 examples of VA innovation and pioneering clinical programs. Shulkin carried over from the Obama administration to the Trump administration, and the book was published last year, in summer of 2017. But he never mentioned it once publicly. It’s perpetually out of stock at the Government Publishing Office. I heard about it from a friend, who had received one at a leadership conference where Shulkin was giving them out very parsimoniously, and when I called the VA public affairs officer, she said she’d never even heard of it. Of course, it’s been suppressed because it contradicts Trump and the Republicans’ narrative. But to me this is hardly the most egregious thing. What’s worse is that even when studies showing how effective and innovative the VA is are not suppressed, lawmakers and the media don’t pay attention. There are also studies coming out talking about the problems with private-sector health care in dealing with the complex needs of veterans, and those receive no attention or coverage either. 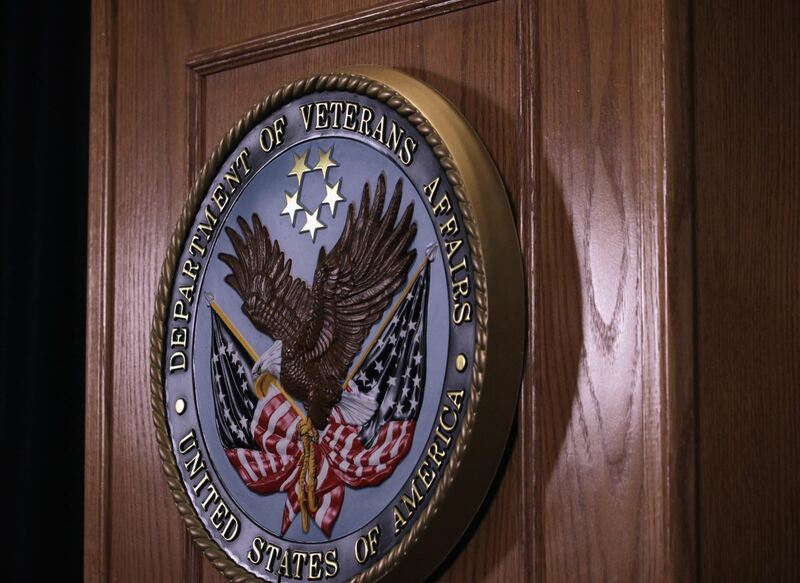 If we looked closer at the evidence of VA excellence, we would have a much harder time justifying the privatization of the VA.
We would conclude that the VA needs to be appropriately funded, not dismantled. For example, instead of funding veterans to go to private urgent-care clinics, we need to build more urgent-care capacity in the VA.
Why would a veteran who gets great care through the VA go to a private clinic or hospital anyway? Maybe there’s a hospital closer to them, maybe they’ve been persuaded by hospital advertising, maybe a combination of the two. The average hospital spends over a million dollars per year on advertising, while the VA spends next to nothing. You can imagine someone who sees an advertisement over and over on the highway that says, “Come to us for your colonoscopy.” And when the time comes, maybe they find it inconvenient to go to the VA facility. Soon we may see hospitals advertising specifically to veterans. There is also a hedge-fund billionaire, Steven Cohen, who is pouring money into nonprofit veterans’ clinics over the next five years specifically to make selection of non-VA care more common, presumably because he’d like to open the market and move into it. The way the VA works makes it vulnerable to this kind of thing, even though it means better care. The VA has specialized transplant facilities — for example, stem-cell transplants are done in Seattle. So, a veteran who lives anywhere would go to Seattle, and the VA would pay for their airfare, for their hotel, even for their family to come. But a veteran might say, as one in Phoenix did recently, “I don’t want to go to Seattle, I want my transplant in Phoenix.” And he got it, at the cost of a million dollars, and the VA paid. In Seattle, it would’ve been $150,000. If you do the math, this outsourcing is going to drain public money and put it right in the private sector’s pockets. And the VA is going to have to have all these conversations with these private hospitals and share records with no uniform system, which is going to mess with the integrated care model that makes the VA work so well. How similar is this to the “school choice movement,” or the charterization of public education? It’s exactly like charter schools. You starve the system, then you say that it can’t provide good education for children or health care for veterans. Then you create private options that depend on federal money. Then you create a constituency of parents or veterans for those private options, and it becomes a kind of prestige thing, like “I’m not going to those yucky places anymore,” which reinforces the idea that there’s something flawed about public education or health care. When underfunding is brought up you blame the unions, you blame the employees for being greedy. You use murky metrics to assess whether a school or facility is performing well, and if it fails you shut it down. If you read Diane Ravitch’s book Reign of Error, you could substitute the VA for public schools in pretty much every sentence. To what extent is the VA’s success an argument for nationwide single payer, and to what extent does that animate the attacks on it? Yes, and yes. Ideally, I believe that we should be fighting for Veterans’ Care For All, because Medicare is a payer, not a system. The VA is a payer and a system, it pays for care and delivers care. It can do things that Medicare can’t do. That’s why it can deliver integrated care. I think that had the Right not succeeded in tarnishing the program’s public image, we could be fighting for a national version of the VA right now. Even so, many of the ways in which the VA excels show us that single payer is a step in the right direction. And yes, I think that the fundamental impetus behind all these attacks is fear of what the VA stands for. Private hospitals can fire patients, but the VA can’t, because it stands for helping people who need help, and taking care of everyone. Suzanne Gordon is the author of several books about health care and patient safety, including Nursing Against the Odds. She is an editor at Cornell ILR Press.